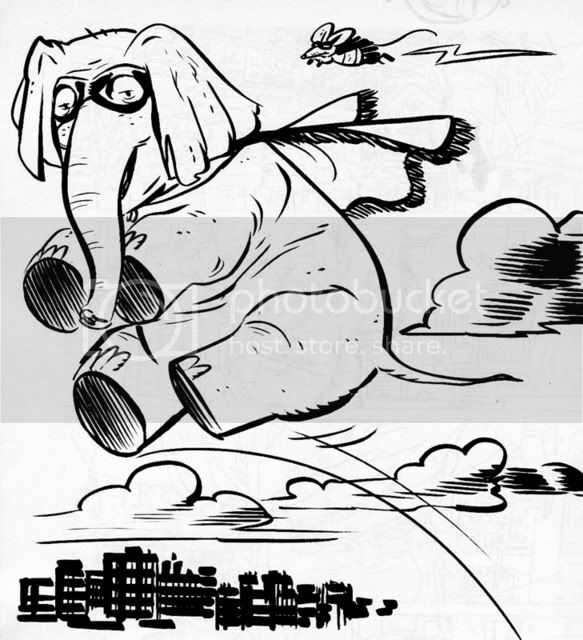 Here ya go kids, in honor of the Thanksgiving holiday here's a ... flying elephant and mouse. When junk like this ends up coming out on paper you know it's time to call it a night. More soon, folks. Have a nice long weekend!